A Bus to raise awareness about a crisis? 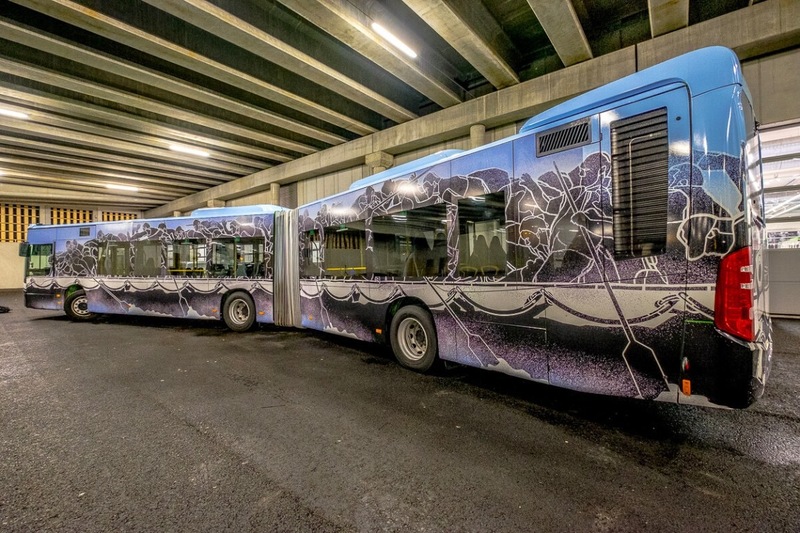 This week there’s a special Bus on tour in Stavanger, Norway. 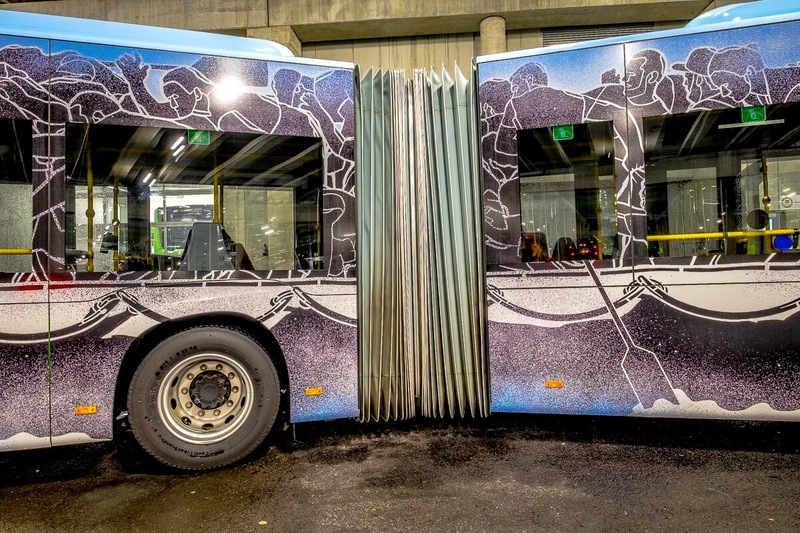 The Bus is covered with a work by streetartist M-City. But what’s so special about it? We drives by bus or by train every day to get to our families, friends or to work. We know when to take what bus to get to our destination on time. And we trust the drivers to get us there safely. M-city wants to raise awareness to the refugees who get on little boats to get to a totally new place to save their lives. They don’t know what awaits them or where exactly they end up to be. Perhaps the bus will have an impact on the peoples thoughts. The imaginary is a very powerful one and M-city proves his great technique with stencils. 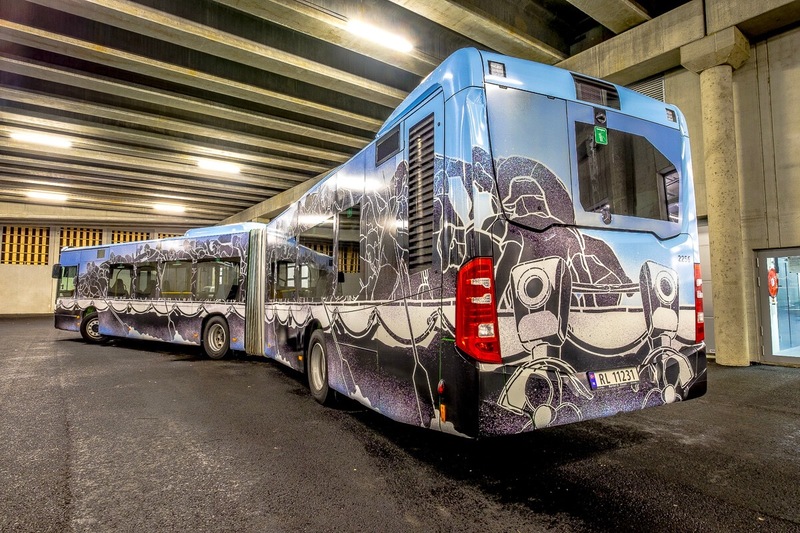 The bus is part of the Nuart Festival which aims Stavanger to be THE art city of the world. “Nuart’s goal is to make art a part of people’s everyday lives: to bring art out of museums and galleries onto the city streets. This collaboration with Kolumbus is just one of the many ways in which we are able to achieve this goal” JAMES FINUCANE, General Manager at Nuart Festival. Veröffentlicht in Festivals, Graffiti, Projects, Uncategorized, urban artGetaggt mit art, awareness, bus, crisis, Festival, m-city, nuartfestival, refugees, Streetartist, urbanartBookmark the permalink. Fat Free Art’s new exhibition: Fem-is-in!